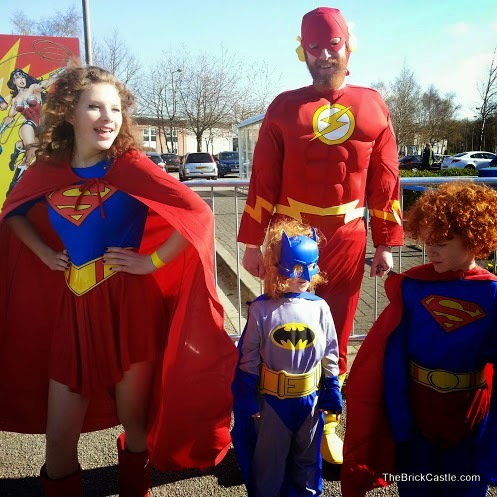 The Brick Castle: A Super DC Super Hero Day! 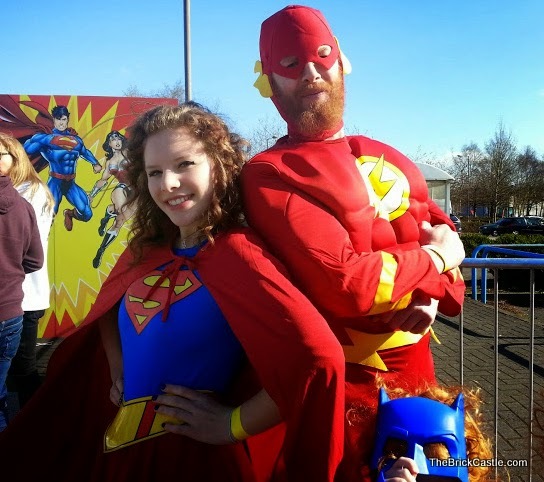 Last weekend we took part in a Guinness World Record attempt to have the most people ever dressed as DC Super Heroes worldwide at the same time. 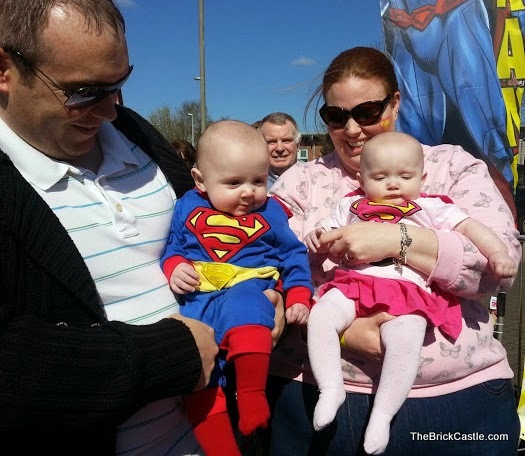 When I was invited I thought it would be a good thing for my 2 little boys, I actually had no idea what a huge breath of fresh air it would be for us all! 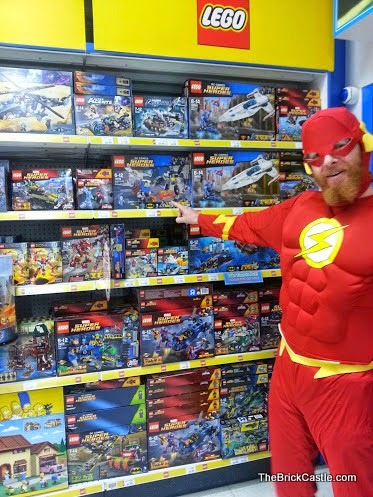 As it turns out, dressing up as a Superhero DOES give you special powers. It makes you smile. I don't know if it's because you look awesome, if it's because you are someone else, or if it's because everyone else views you as someone else, but it has true magic. I wasn't dressed up, but the magic rubs off. 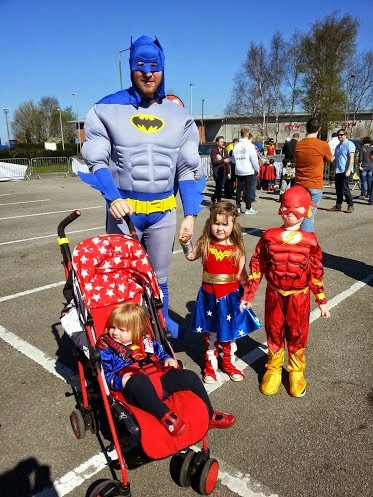 I had 4 Super Heroes with me, plus one of our older lads, who's always a Superhero anyway (he regularly gets up with the little boys at the weekends, so he's a Superhero in my book). 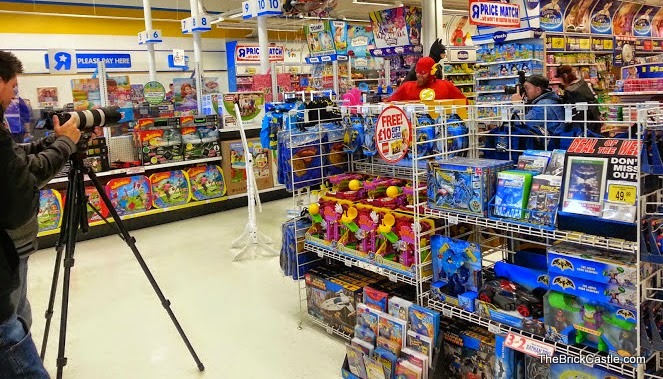 We arrived bright and early and we had a good look around the Toys R Us store where the event was taking place. 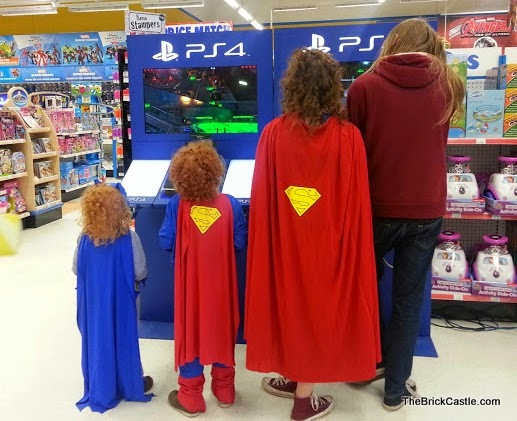 Even that was somewhat surreal..
A quick round of LEGO Batman 3 on the PS4 - and yes, we bought it, it's awesome and my 5 and 6 year old boys actually completed it before school today - that's a record for them - only 5 days for a full game!! 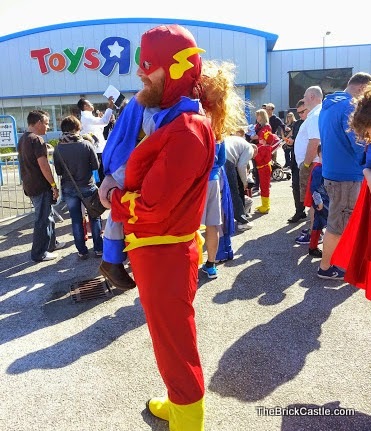 Our younger two weren't interested in the photoshoot, they were too busy checking out the DC toys and other items on sale..
Then it was back outside for the World Record Attempt. 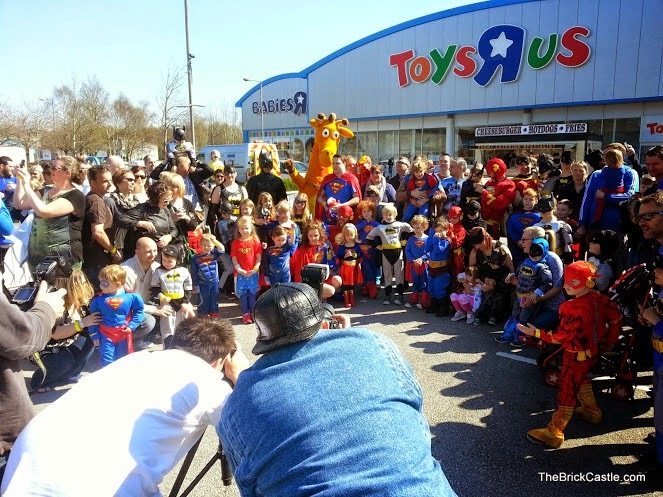 All of the Super Heroes lined up and streamed into the arena - it may not have been an immense turnout, but it was still mightily impressive! EVERYONE had a huge grin the whole time, it really was a great thing to be a part of. There were loads of games for the children, and a compere who was brilliant! He really got into it and kept everyone going, even through a 10 minute delay because of camera problems - not many people can keep an arena full of mainly children dressed as Super Heroes happy, but he managed it. 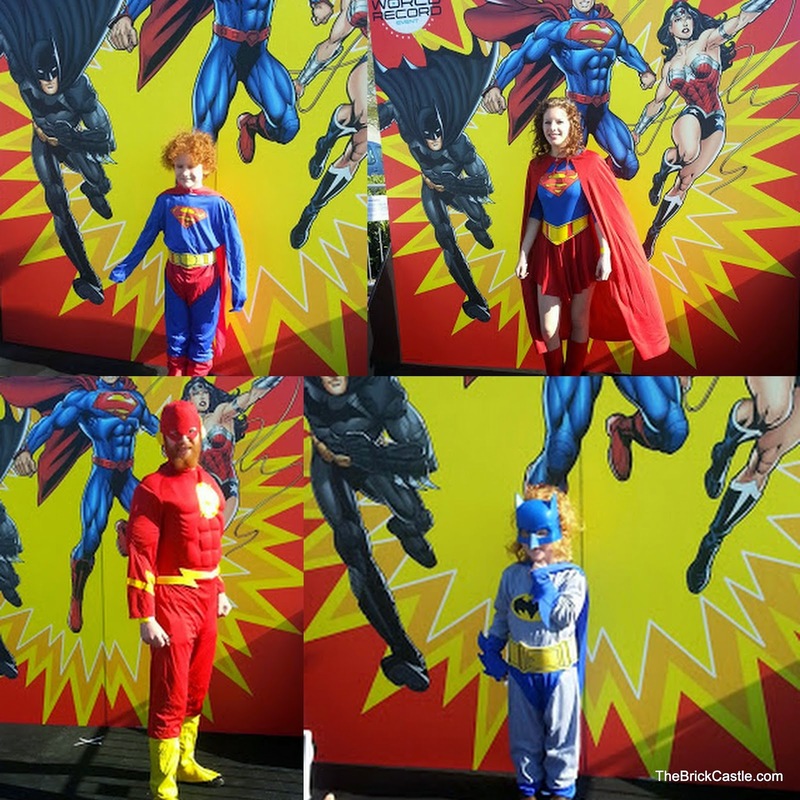 We spotted a couple of people we knew - including the We're Going On An Adventure Super Heroes. 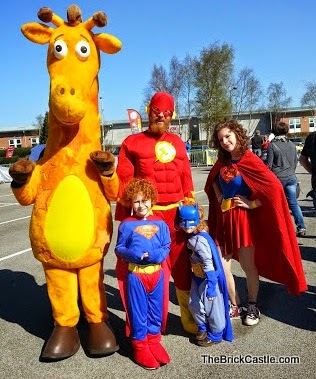 Geoffrey was dressed up with a Super Hero cape! 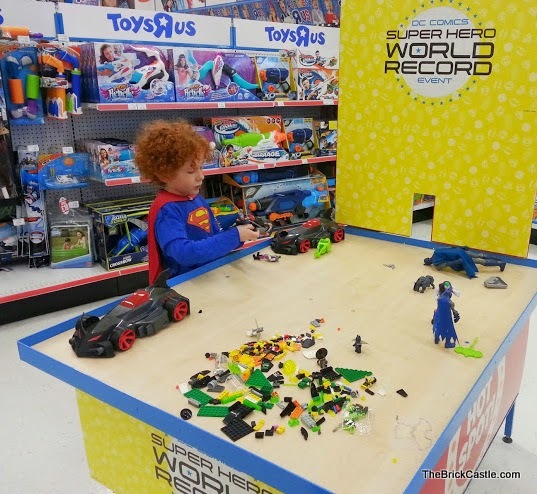 As if that wasn't enough, the World Record was broken! Yeeay! 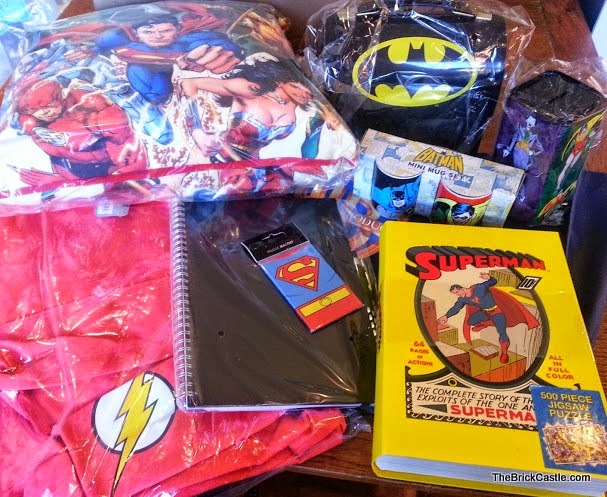 And so Warner Brothers sent my Super Heroes some great DC goodies to say thank you. Even more awesome. 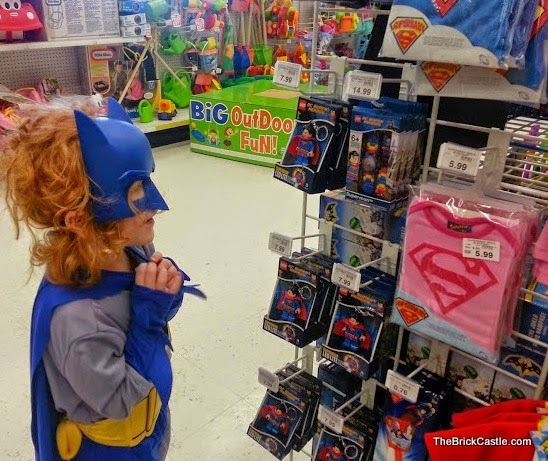 We were told about the event by Warner Brothers, who sent us our costumes from Rubies. Anyone could attend, and I can't wait for the next one! This looks like so much fun. I love the photo of the view of all the capes. wow! that event is fantastic! 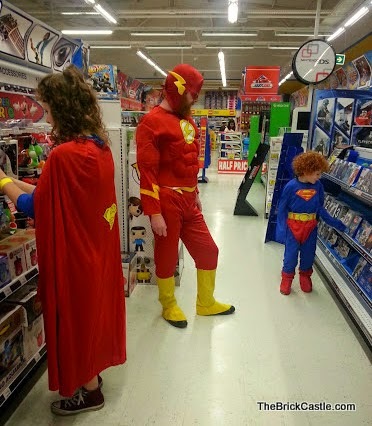 I love your superheroes family! That looks like great fun. Glad you all had a great day. 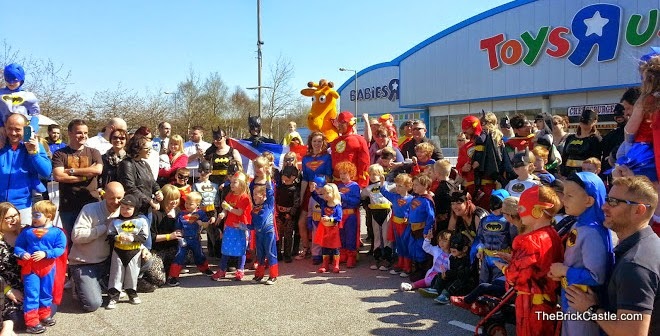 What a fab event to be a part of and your superheroes looked amazing!